"Obesity is a potential killer for pets and we know more and more practices are seeing overweight animals coming through their doors". 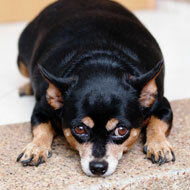 Obesity or overfeeding has been named the top welfare concern facing UK pets, in a new survey by the BVA. In a poll of over 1,600 vets, nearly two-thirds said obesity or overfeeding was their greatest welfare concern. The figures were released to coincide with World Obesity Day. Pet owners failing to follow or understand pet food feeding guidelines, giving too many treats and snacks and lack of exercise, are all playing a part the rising problem of pet obesity, BVA says. While owners may feel they are being kind, BVA president Gudrun Ravetz said often it is a case of "killing with kindness" and is contributing to poor health and limited life spans. "Obesity is a potential killer for pets and we know more and more practices are seeing overweight animals coming through their doors," she added. Pet owners are urged to seek advice from their local vet on how much to feed and how to recognise a healthy body shape. 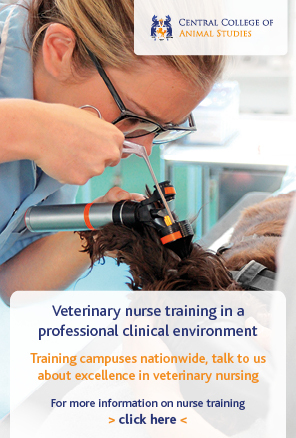 BSAVA president Susan Dawson believes vets and pet owners must work together to help keep animals healthy. "All companion animals deserve a nutritionally balanced diet; in fact it is a requirement of the Animal Welfare Acts. "Of course it is tempting to give too many treats and easy to forget to weigh food out, but because obesity can cause serious health and welfare problems for companion animals BSAVA strongly recommends that bodyweight and body condition are monitored regularly and diets modified to maintain a healthy weight."